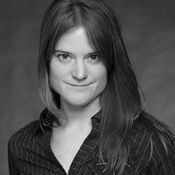 When Sara Shepard was young, the things she wanted to be when she grew up were a soap opera star, a designer for LEGO, a filmmaker, a claymation artist, a geneticist, a fashion magazine editor and, most of all, a writer. Her first story ever, which she both wrote and illustrated, was about friendly yellow creatures that lived in a girl's backyard garden. Her second followed a group of animals, including a five-legged camel named Lloyd, as they went on an expedition through the human body's circulatory system.